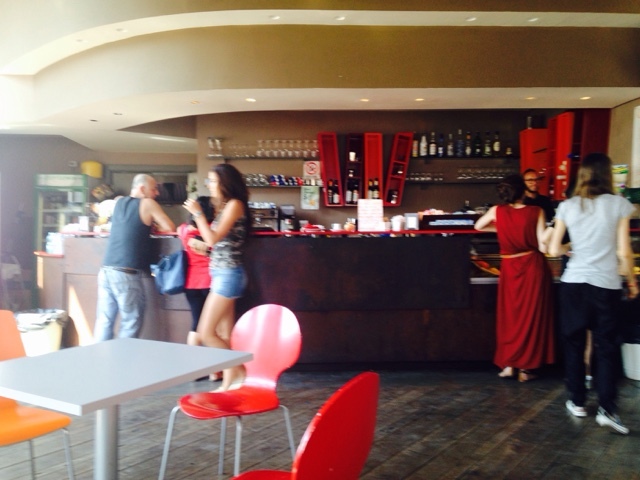 CombatCritic's "TravelValue": Caffetteria delle Oblate: It's The Bomb! 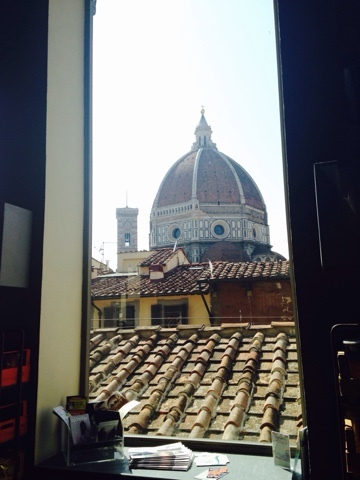 You will not find an air conditioned bar with better prices and a better view in Florence! Located on the top floor of the Bilblioteca Oblate (Library), kitty-corner from the entrance, you will find this small caffetteria with cheap drinks and snacks. 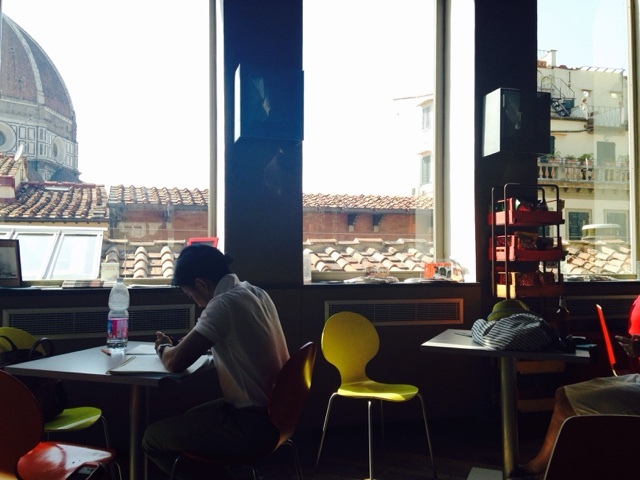 Catering to the many students hanging around outside, you pay a little more to sit inside, but it is well worth it. We had a caffé macchiato, bottle of water, and a peach iced tea, coming to just €4.50, the price of a tea at most places with a view like this. The inside is simple with Formica-topped tables, colorful 80s-style chairs, and a wooden plank floor, but the view of the Duomo's dome is imposing and spectacular. CombatCritic Gives Caffetteria delle Oblate 9 Bombs Out Of 10 ... More Bombs Are Better! 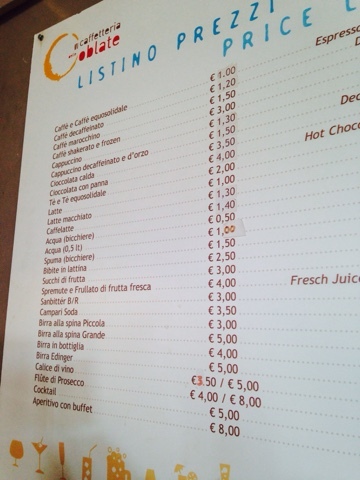 Title: Cafeteria delle Oblate: It's The Bomb!